Illustrator, Jessica Repetto, will be sketching live portraits onto Band of Outsiders tote bags for $25. You can buy a limited edition Rodarte t-shirts and with purchase, you get a free Momofuku Milk Bar cookie! Get made up and hang with True Blood’s Kristen Bauer (PAM!!!). 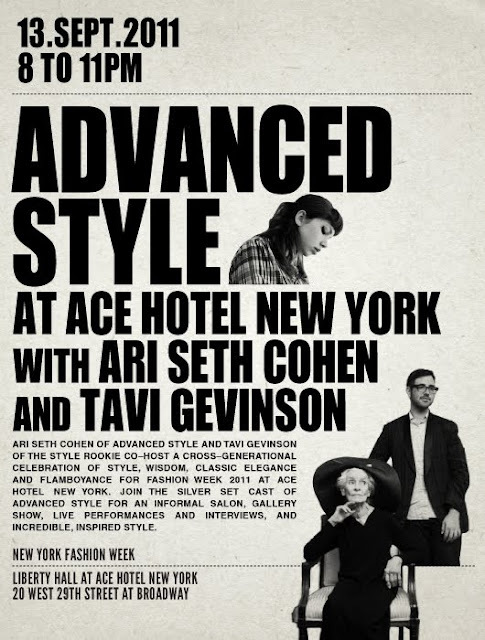 There will also be performances by Kat Von D and Linda Perry. Can I successfully avoid Kat Von D while stalking Kristen Bauer? Meet bloggers Tavi Gavinson of Style Rookie and Jane Aldridge of Sea of Shoes. Guests are encouraged to dress 1940’s inspired using Miu Miu F/W 2011 as inspiration. The most creative costume will win a special prize! (7:00-11:00pm): Celebrate with special guest DJs Alexa Chung, Elettra Weidemann, Dree Hemingway, Jen Brill, and Lily Cole. Specialty drinks also provided! I'm such a nerd, I totally want to meet someone from True Blood for 5 seconds at Sephora. 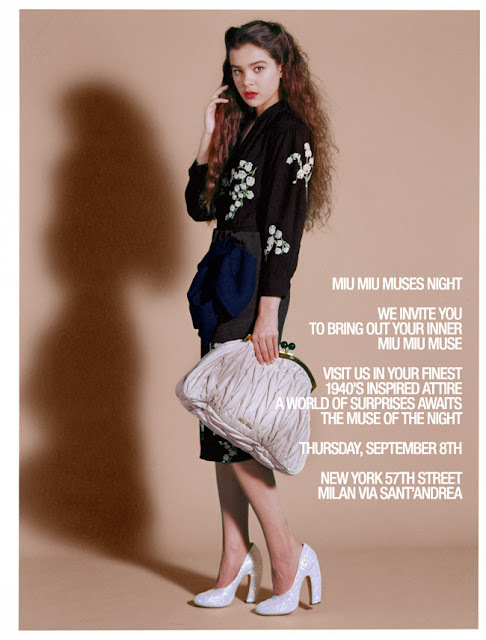 I'll probably just leave if it's a madhouse and go to Miu Miu. Although Miu Miu might get cut out if I'm low on time since I'll see Tavi at this event next week.